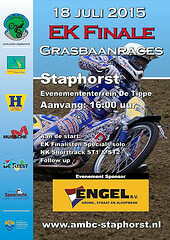 30 June 2015: Posters added for Dauntsey, Peterchurch and the European Solo Final. 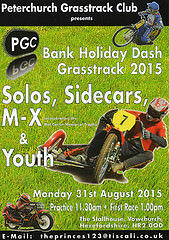 27 June 2015: Wimborne’s Party Grasstrack Pics added. 25 June 2015: Maidstone Aces have moved the Kent Kracker from August to 20 September. 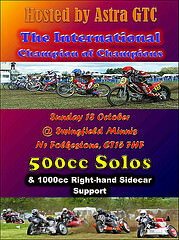 25 June 2015: SCA poster added for 13 September meeting. 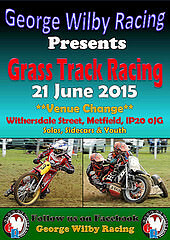 19 June 2015: Ledbury Report from Saturday Evening of Grasstrack meeting. 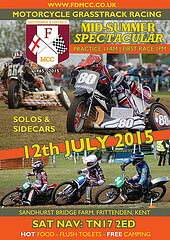 18 June 2015: Ledbury’s Saturday Evening of Grasstrack photographs on line. 6 June 2015: Frittenden’s Midsummer Spectacular Poster. 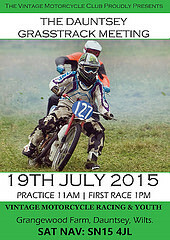 6 June 2015: Entry List for Ledbury Saturday Evening of Grass Track meeting (13/6/15). 6 June 2015: Frittenden’s Midsummer Spectacular Regs & Entry Form. 3 June 2015: Astra’s Champion of Champion is 18 October. 1 June 2015: Regs & Entry Form available for Ledbury’s ‘Flyer’ on 16 August. 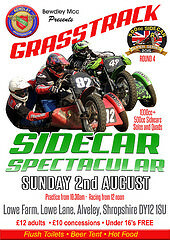 1 June 2015: Bewdley’s Sidecar Spactacular Poster. 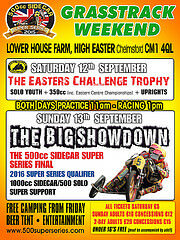 1 June 2015: Regs & Info Sheets available for Bewdley’s Sidecar Spectacular on 2 August.